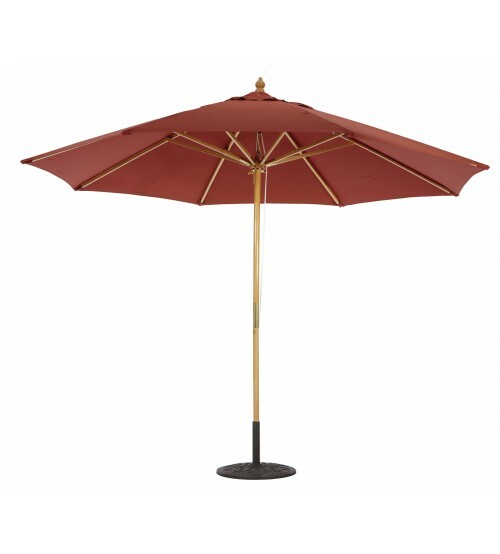 Galtech's 11' market umbrella offers ample shade. Ideal for residential or commercial use. The 183 Market Umbrella is available in light wood finish and the canopy comes in a wide variety of quality fabrics, including Sunbrella. 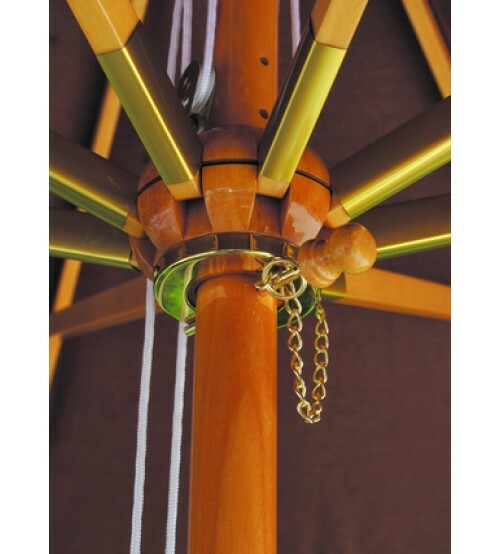 Equipped with rope and pulley for easy lift operation. Pulley lift for smooth operation. FRAME ONLY. FABRIC NOT INCLUDED.